There’s some spooky fun for all ages during the run up to Halloween in Thame. Thame Market traders are inviting people to turn up and join in with some spooky activities over the next couple of weeks. The Tuesday Charter Market is hosting two frighteningly fun events. On Tuesday, October 24 and Tuesday, October 31, head down to the market to guess the weight of the pumpkin. During half-term week on October 24, children aged 10 and under can enter the ‘best spooky drawing’ competition, with the winner announced on Halloween. Prizes are a hamper of goodies generously donated by the market traders. 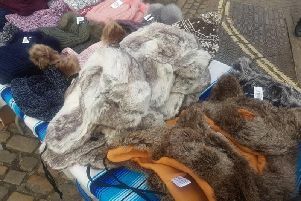 Stay up to date and join the events on the ‘Thame Market Traders’ Facebook page at www.facebook.com/ThameMarketTraders.